For the dental community, BDIA Dental Showcase is the number one annual event. In the run up to the show, you hear cries of 'I can’t believe it’s Showcase time again', or 'this will be the umpteenth Showcase I’ve attended'. 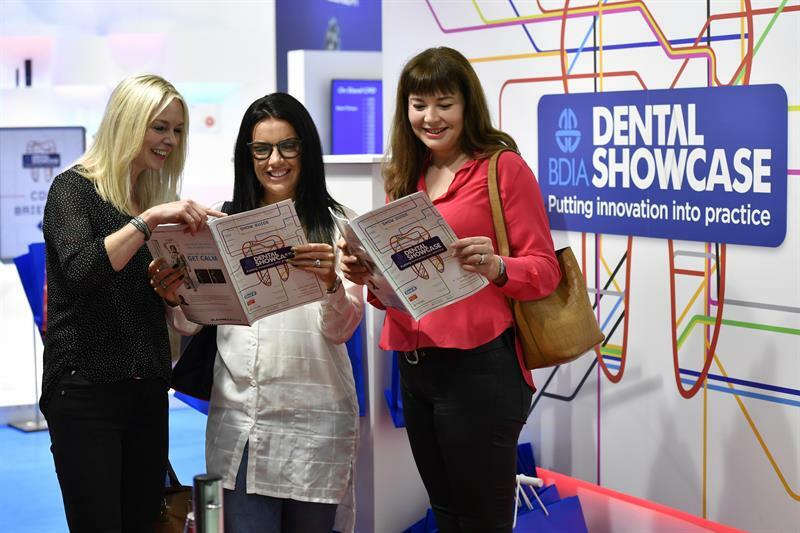 It’s a milestone in the dental calendar, where the sector unites with a shared sense of anticipation of exploring the latest products and technology. The event is a ‘showcase’ of dentistry. Under the umbrella of the BDIA, the show has for generations put the needs of the profession first. At no other UK event can the dental team explore such a vast array of products, services and technology that opens new revenue streams and can advance the way they practise. Behind the scenes at Showcase HQ, there has been plenty of activity. From the feedback from the 2018 show – and based on the advice of the committee – the show will see some exciting developments this year. When the doors open at Birmingham’s NEC on 17-19 October, visitors will be taken on a journey through modern dentistry. From complete workflows to practice finance, recruitment and retention to advanced consumables, there will be something for the whole dental team. Through the new Digital Workflow Showcase feature on the show floor, visitors will have the opportunity to get hands on with the latest products whilst learning from fellow professionals about how to exploit the potential offered by the latest technology. Practice owners face a unique set of challenges in their role, therefore new for 2019, will be the Practice Owners’ Lounge, a dedicated zone on the show floor designed to meet the requirements of dentists who have the responsibility of running a successful business on top of their day-to-day dentistry. Practice owners will be invited to participate in a bespoke stream of sessions and business engagements to help them realise their full potential. Also new for 2019 will be the Specialist Zone. Created after feedback from previous attendees demanding more training around specialties, the zone will run smaller intimate sessions offering take-home skills and specialist knowledge to extend the scope of your practice. Sessions will be on offer from our partner associations British Society of Paediatric Dentistry, the British Society of Restorative Dentistry and more, all of whom will have stands near the zone for further advice and networking. Evening activities are taken care of with the return of the Foundation Dentists’ Ball, brought to Dental Showcase in 2018 with much acclaim and success, offering FDs the opportunity to catch up with their fellow alumni in sophisticated surroundings. In addition, Showcase is delighted to welcome back the famous Bridge2Aid Bash – a fantastic evening to celebrate a very worthwhile cause and raise much needed funds for fighting the causes of poverty in the developing world, all whilst throwing some serious dance moves. Showcase is the event by the sector, for the sector. Over the coming weeks and months, there will be plenty more announcements as we ramp up to dentistry’s greatest annual event!